Hello, I am a young girl. I have no sisters and 2 brothers. My parents are peasant farmers. I live with my parents. My health is fair and my progress is good. In school, my favourite subject is english. When I get home from school, I help my family by carrying water. I enjoy ball games. I live in Busekera, Rwanda. Our community is one of the poorest in our district and families are still struggling to recover from the consequences of the 1994 genocide. We have to walk 40 km to reach a medical centre and 2 km to reach drinking water but we do have two classrooms and our families have some land. FH Sponsorship is helping me and empowering my family. I get to go to school and receive the health care I need. I get a chance at a future, and so does my whole community! The FH field staff is working with the adults in my family and community to find the best ways to grow vegetables, raise livestock and form income-generating associations. That way, we can overcome our challenges and eventually become a self-sufficient community that can help other communities in Rwanda do the same. Please pray for me and my family as we work with our community for a sustainable future. Thank you for providing me with support and hope. WHY FOOD FOR THE HUNGRY? Your sponsorship is part of a plan. A. It costs $38/month to sponsor a child. Q. Is child sponsorship tax deductible? A. Yes! We’ll send you a tax receipt for your yearly sponsorship total every February. Q. What do I do if my contact or payment information changes? A. Please call 1-800-667-0605 or email us at sponsorship@fhcanada.org to report a change of address, phone number, banking or credit card information. Q. What if I fall behind on payments? A. Let us know if you run into difficulty and need to make alternate arrangements. Life happens and we do our best to find a way to keep the sponsorship relationship you’ve developed until you get back on your feet. You matter to us as well. Q. Can I post about and/or contact my sponsored child online? A. In order to protect the wellbeing and privacy of sponsored children and their families, we ask you to only refer to a child’s first name if you are posting online. Please do not attempt to contact your sponsored child via social media as this threatens the privacy and safety for both you and your sponsored child. Please use our message center to write to your child. Q. What communications can I expect as a sponsor? A. 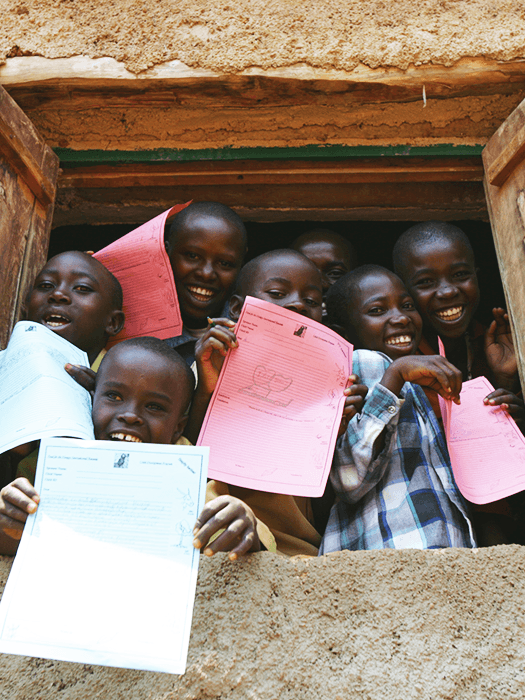 We will send you a letter of introduction from your sponsored child within the first few months of your sponsorship. You’ll also receive an annual progress report on how your sponsored child is doing and a Christmas card from him/her. Additionally, we will send you a few general Food for the Hungry updates throughout the year so you can see the larger picture of sustainable development you are a part of in your child’s community. Q. How long do I need to sponsor? A. Our promise is to graduate communities out of poverty in 10 years. We ask sponsors to walk with a community for as much of this journey as possible. Consistent, monthly sponsorship builds peace of mind and security for parents, allowing them to focus on building long-term solutions for their families. Once a community graduates, you are invited to walk alongside another child and their family and help them thrive as well. Q. Will I always sponsor the same child? or the child passes away. Q. Can I visit my sponsored child? Write your child. Grow a relationship. A great way to build a relationship with your sponsored child is by writing to them. Your communication will give you the opportunity to learn all about your sponsored child. Share successes and challenges while encouraging your sponsored child in school and family life. 1. Mail us a letter or use our online writing tool. 2. We'll send your letter to your child's country where it will be translated by Food for the Hungry staff. 3. Your translated letter will be transported to their village and hand delivered by our dedicated staff. 4. Your child will be thrilled to read your letter and will send you a reply. It's not hard to write a letter. Keep it simple. Share a little about what your life is like, what you like to do in your free time, or a something about your family. Feel free to ask your sponsored child a question about their life. Think about the the things that were important to you as a child. Family. Friends. School. Children love their letters and cherish them forever. Your efforts can make a huge impact!